Summertime and the Livin’ is… HOT! Public education is vital in improving the lives of companion animals in every community. Every summer we still see the same trends — pets dying in parking lots across the country, dogs running away on the 4th of July. Clearly, we’ve learned that what pet parents don’t know CAN hurt them and their pets. The importance of publicizing these dangers and empowering pet parents to make better decisions to regarding their pets cannot be overstated. Help inform your community of the dangers of leaving a pet in a hot car, bringing pets along for fireworks on Independence Day, and more. It’s official!! Nero was adopted today. After six months on meds, medicated baths and special food. Now, he is well and we are so happy to receive Nero into our family. He is the sweetest animal, brings us joy, and is the perfect companion to little Ollie (aka Marty- adopted June 2012.) We’ve renamed him Skippy as he skips and jumps as he runs and plays. Thank you K-9 Angels for all your good work and facilitating Nero’s journey to our home. Xylitol is a natural sugar alcohol extracted from certain fruits and vegetables. Because of its sweet taste and plaque fighting benefits in humans, xylitol is a common sugar substitute found in a diverse assortment of products. These include sugar-free gum, mints and other candy, baked goods, nicotine gum, chewable vitamins, certain prescription drugs, and dental hygiene products. 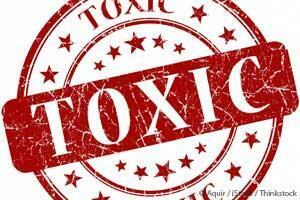 Nontoxic amounts are even included in some pet dental products. Because xylitol has a low glycemic index, it’s also sold in bulk as a sugar substitute for baking and in-home use — which is why the Pet Poison Helpline has fielded calls from owners of dogs that became very sick after eating homemade bread, muffins and cupcakes made with xylitol. Where Else Is Xylitol Found? According to the Pet Poison Helpline (PPH), xylitol – which, as many pet owners know, is quite toxic for dogs, causing hypoglycemia and hepatic necrosis – is showing up in an ever-increasing number of surprising places. New products on the market, including some nasal sprays, over-the-counter sleep aids, multivitamins, prescription sedatives, antacids, stool softeners, and smoking-cessation gums, contain “unexpectedly large amounts” of xylitol, according to Dr. Anna Brutlag of PPH. Dogs who sample these products get a double dose of toxicity, first from the active ingredient in the product, and secondarily from the xylitol. This potentially deadly combination can greatly complicate the symptoms, diagnosis, treatment, and prognosis for these animals. While xylitol is safe for human consumption, the same can’t be said for pets. In 2011, the FDA released a consumer alert on the dangers of xylitol ingestion in certain animals. The sweetener’s effect varies by species. In people, rhesus monkeys, rats, and horses, intravenous (IV) xylitol causes little to no insulin release. However, it has the opposite effect on baboons, cows, goats, rabbits, dogs, and ferrets. Its effect on cats is unknown. Humans absorb xylitol slowly, and the sweetener when ingested orally is absorbed at from about 50 to 95 percent. However, in dogs, xylitol is rapidly and completely absorbed within about 30 minutes. Just a small amount of xylitol can cause a dangerous insulin surge and a rapid drop in blood sugar. The toxicity of xylitol in dogs is dose-dependent. The dose required to trigger hypoglycemia (low blood glucose) is approximately 0.1 grams/kg, while the amount needed to cause hepatic necrosis (liver failure) is approximately 0.5 grams/kg. As a point of reference, most chewing gums and breath mints typically contain .22 to 1.0 gram of xylitol per piece of gum or per mint. This means just a single piece of gum or one mint may cause hypoglycemia in a 10-pound dog. Product manufacturers aren’t required to list the quantity of xylitol on package labels, and while some companies will reveal the amount in their products, many are reluctant to do so. Incredibly, some have even asked veterinarians to sign a confidentiality agreement before divulging how much of the sweetener is in a particular product. Fortunately, the Pet Poison Helpline has been working to get this information from manufacturers, and has been relatively successful. So if you need to know the amount of xylitol contained in a specific product, the Helpline suggests you call them first at 1-800-213-6680. In some cases, you might be able to use the placement of xylitol on an ingredient list to estimate how much is in the product. In the U.S., ingredient lists for foods must be organized in descending order based on weight. The ingredient that weighs the most is at the top of the list. According to Dr. Brutlag, in most chewing gum ingredient lists, xylitol appears in fourth or fifth place, making it clinically insignificant. She says if it appears as one of the first three ingredients, however, extreme caution should be taken. I’ll go a step further and recommend that dog guardians avoid or very carefully secure any product that contains any amount of xylitol, no matter how small. When it comes to medications and dietary supplements, U.S. regulations do not require manufacturers to list xylitol by name on package labels. This is because the sweetener is often categorized as an “inactive” or “other” ingredient, and such ingredients don’t have to be listed in order by the amount contained in the product. To confuse matters further, when xylitol is named in these products, it is often part of an alphabetized list, which could lead pet owners to assume – perhaps in error – that there is a very small amount in the product. So I’ll repeat my recommendation to dog owners to either avoid or very carefully store any product that contains xylitol in any amount. Symptoms of xylitol intoxication in dogs include vomiting, weakness, lethargy, loss of coordination, seizures, and collapse. Hypoglycemia is usually evident within an hour or two after a dog ingests xylitol, but symptoms are occasionally delayed for several hours. Treatment depends on how quickly it is given. Vomiting is induced in cases where the xylitol has just been ingested. Once a dog develops hypoglycemia, IV dextrose must be administered until the animal can self-regulate his blood glucose concentrations, which typically takes from 12 to 48 hours. Just wanted to send over a quick note and say how great an addition Reggie (formerly Rio – brown and tan) has been to our family. 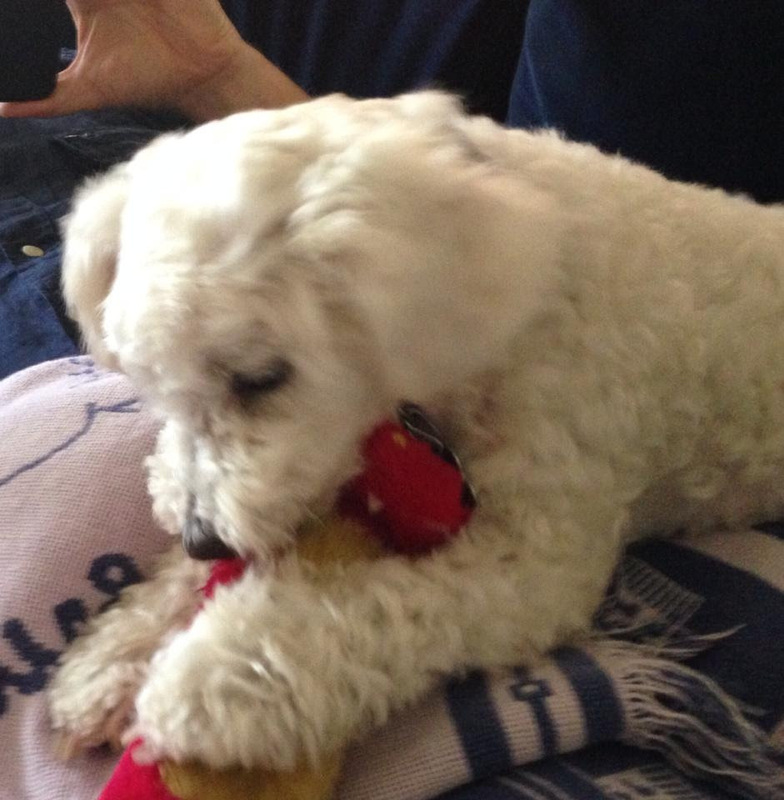 We adopted him in February to keep Lucy (the smaller, white dog – adopted from K-9 Angels in January 2013) company and they have become the best of friends. They love to wrestle around with each other (Reggie often rolls around on his belly so that Lucy can get the upper hand) and I often find them curled up together on the couch sleeping. Thank you for giving these dogs a second chance and we are so grateful to have them in our lives! on a fluffy bed or couch after a long walk! When I first started volunteering at K-9 Angels, I decided that I wanted to also foster. 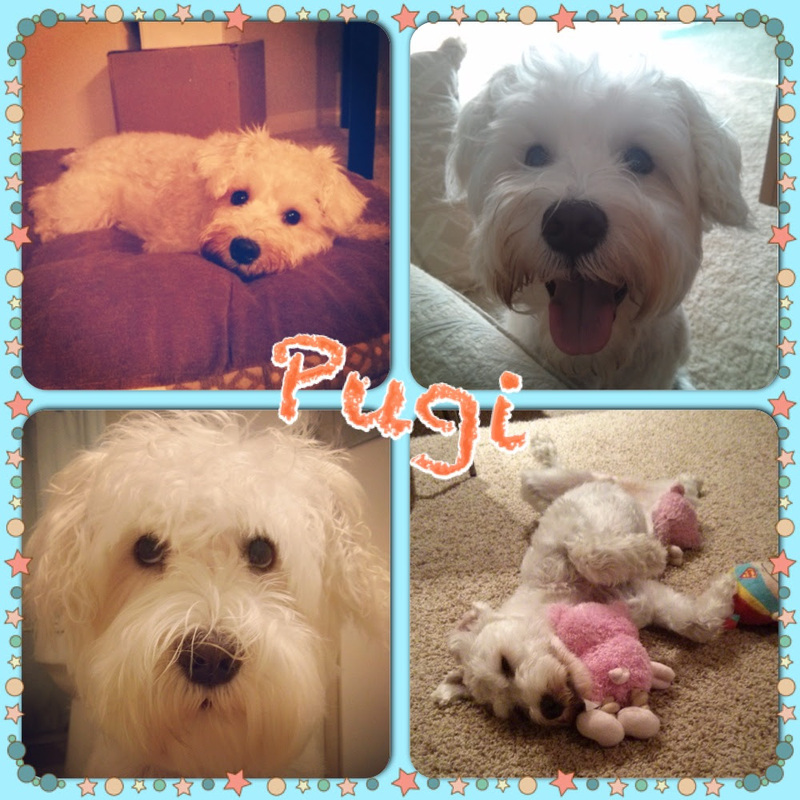 I don’t know what it was about Pugi at the time that drew me to him. He was all banged up, covered with fleas, had a bad infected eye, and a giant wound on his neck. Later on, he developed a tumor that was luckily benign and removed with surgery. I suppose I felt very sorry for the little guy. Even though he wasn’t in the best of shape, his was always excited to go outside for a walk, chase squirrels, or play tug-o-war with me. The only time he wasn’t so happy-go-lucky was when I gave him a bath. I soon realized that this would be the ultimate case of foster fail, for I was too attached to ever let him go. 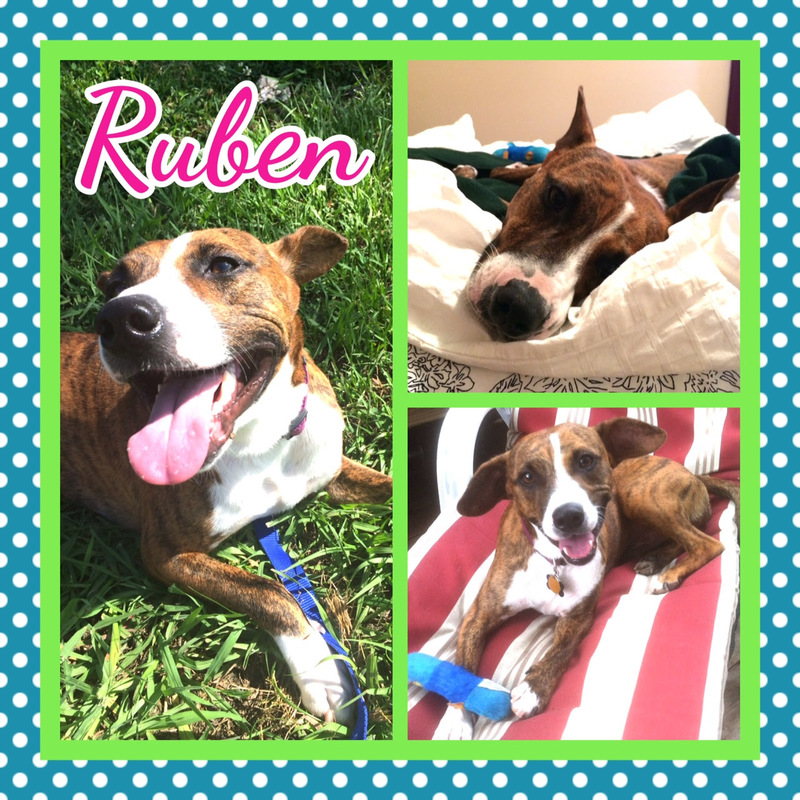 I feel very fortunate that K-9 Angels rescued him and gave him a second chance at life. He has completely stolen my heart, and brings me so much joy and happiness everyday. Through this whole process, I realized just how compassionate and hardworking everyone is at K-9 Angels. They’ve inspired me to become an advocate for animal rescue. I can never thank K-9 Angels enough for their dedication in helping dogs find forever homes, and especially for helping Pugi and I find each other. 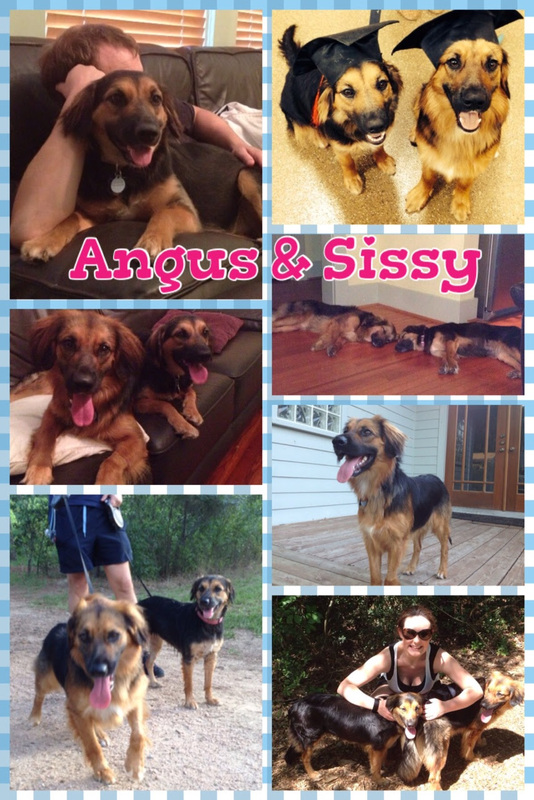 We just wanted to send you a quick update on Angus and Sissy. They’ve been with us for around 3 months now and we couldn’t be happier with them! They bring us so much happiness and make us laugh everyday! They have settled in well and are now the best of friends. Angus was so happy in his first few weeks that he wagged his tail too hard and injured it which is why its shaved in some of the attached pictures! He was in a cone for 4 weeks and never once complained. In fact his tail continued to wag throughout which caused a number of bandages to come flying off! They love their walks and are happiest when we take them on new adventures every weekend – they love chasing squirrels and Sissy even chased a duck into the pond at Herman Park over the weekend. They are starting to get to used to the car and get so excited when we get their seat belts out. They are both really smart and graduated a week early from their puppy class – even if we’re not sure how much they learned as the vet has said that ‘based on their behavior’ they are only 1 year old! They have grown so much in the last few months we will need to bring them past at some point to say hello! Thank you so much for rescuing them and allowing us to make them part of our family. We cannot believe that someone gave them up but we are so grateful to you all for rescuing them in their moment of need!